It was just about a year ago that the first distillery to operate in Vancouver in a long time opened up on Hornby Street. Long Table Distillery kicked off an exciting year for fans of locally-produced spirits, with five other distilleries opening in the lower mainland, and bringing our total to 14 in the province. I sat down to talk with founder and distiller Charles Tremewen to find out how the year went. I asked him what his biggest surprise was in the last year: "I have been amazed by how wonderful the fans are - once they recognize the products we produce. It's fantastic how appreciative people are of fine local spirits." Long Table opened it's doors with a London Dry Gin and Texada Vodka, but has since added other products, including an aquavit, a cucumber gin, and peppermint mist. The year ahead promises more innovation. Charles plans to continue to grow his product base, explore more BC ingredients, and look to collaborate with BC growers and producers. Another interesting question for me was how the addition of so many distilleries has impacted Long Table. "We're seeing a shift due to the synergy of a growing awareness in Vancouver of distilleries," Charles said. In this case, the competition appears to have been good for business. This gets at the heart of our purpose at BC Distilled, with the idea that a broader general awareness is good for the distilling community as a whole. Long Table recently got another first under their belt, with the launch of their tasting lounge, something the provincial government recently allowed. Their first Gin and Tonic Fridays was held on Janruary 31, opening to a packed house, as well as a visit from Vij's Railway Express and Vikram Vji himself. This new option for distilleries promises to be a great way for fans to try the products and interact with the distillers -- we'll no doubt see Charles' colleagues follow suit in short order. If you haven't yet, perhaps it's time to drop by, have a taste, and wish them a happy birthday. It's the first of a few birthdays fans of local spirits can celebrate in 2014. Now that's a big still! Arbutus Distillery, housed in its own custom-built facility in Nanaimo, is getting close to putting its new 1000L still into operation, bringing a welcome addition to the BC distillery scene, and establishing themselves as Nanaimo's first craft distillery. I had a chance to visit them over the holidays and meet with distiller Michael Pizzitelli to find out a little more about their plans and also see their impressive facility. Like a few of our other craft distillers in BC, Mike trained at Hariot Watt in Scotland. Last year Arbutus Distillery made a splash together with their creative team at Hired Guns Creative when they released label designs for their Coven Vodka and The Empiric Gin, both of which generated a lot of attention. The stills are in, regulatory waters have been mostly navigated, and they're hoping to be up and running this spring. Out of the gate we'll see a vodka and gin to go with those fancy labels. Mike also has plans for an absinthe (Baba Yaga -- love those names), which will be the third produced in BC. With that great building he's in there'll be some room to put some barrels aside for aging whisky, which is good news for our young local single malt industry. This is another one to watch -- I'm looking forward to seeing what Mike will come up with. I still remember my first exposure to bitters. It was probably four years ago, and my wife and I were driving through the Saanich Peninsula, taking the slow road to Victoria, stopping off here and there to collect bottles of wine (this is really the best way to travel). One of the places we really wanted to visit was Victoria Spirits. I already knew their gin but wanted to see the distillery and find out what else they had on offer. One of the surprises we came across was their Orange Bitters. I knew about bitters but didn't really care - they weren't something that I felt I needed to try. Well, we tried them, and we were hooked. From that point on Victoria Spirits Orange Bitters made their way into most of the gin and tonics we made, and we did our part to evangelize them to our friends, either by the bitters in drinks we made or by giving away our fair share of bottles as gifts. It seems like the use of bitters have taken off in a pretty serious way since then. My uneducated perspective is that this is partially due to the resurgence of a cocktail culture in Vancouver and other cities, but also the fact is, we just have more and more options available, both locally and from around the world. My timing for thinking about bitters coincided nicely with an event on August 22, Bitters 101 at Long Table Distillery, run by Bittered Sling. Charles Tremewen, the master distiller at Long Table, hosted Lauren Mote and Jonathan Chovancek from Bittered Sling. Lauren is a mixologist and Jonathan is a chef -- and they bring not only incredible passion and energy to their business, but seemingly endless knowledge about bitters and their use not only in making drinks but also in cooking. The two of them took a sold-out room of happy attendees through the history of bitters, accompanied by a couple of outstanding cocktails (thanks Lauren cocktails and Charles for the gin! ), some outstanding cake (thanks Jonathan! ), and most importantly a tasting of their bitters. Each tasting came with recommendations for use in cocktails and well as cooking. I liked them all, but my favourites where the Suius Cherry, Shanghai Rhubarb, and the most unique for me Cascade Celery. Personally the most important thing I came away with was a desire to learn to use bitters more in my cooking -- which is probably not the right thing to say on a website dedicated to drinking spirits. I promise I'll also start using them more in my cocktails! Victoria Spirits recently expanded their line, including Orange, Rosemary Grapefruit, and Black Pepper. I was lucky enough to try all three at the year's Edible BC show, and can recommend them all with enthusiasm. In Victoria, Housemade Bitters produces several small batch bitters, as well. I have yet to try them, but am keeping my eye out for the opportunity. On an overcast but still beautiful day in the Okanagan I had the opportunity to meet Grant Stevely, soon-to-be-master-distiller at The Dubh Glass Distillery in Oliver, BC. Located just a few minutes north of the Oliver town centre, right on Highway 97, work is just starting on their purpose-built distillery, with an expected completion date of December 2013. Grant was a welcoming host and gave my wife and me the honour of being the first people to taste some spirits at the distillery -- we sampled some Still Waters Stalk & Barrel Single Malt from Concord, Ontario, Saskatoon's LB Distillers Gambit Gin, and some Masterson's Rye. I was stuck by the strong vision and that Grant has for his distillery, as well as his forward thinking. While he will produce other spirits which are sure to be a treat, his focus is on creating craft single malt whisky. He is lucky to be just down the road from Canada's largest cooperage, Okanagan Barrel Works, so he will have the opportunity to explore different finishes and build a close relationship with a local barrel maker. In addition, Grant has plans to explore the opportunities that come with being surrounded by wineries in every direction looking to offload their spent barrels, which have been soaked in all sorts of interesting flavours. We're sure to see some innovative stuff come out of a it. The Dubh Glass represents for us another example of the exciting future of BC distilleries -- passionate distillers who are helping BC to become a major source of innovative craft spirits. I can't wait to see them up and running. One of the great things about being a part of BC Distilled is taking a leisurely journey on a sunny Tuesday afternoon to get a sneak peak at one of Vancouver's imminently new distilleries this week: Odd Society. We found master Distiller Gordon Glanz hard at work putting some of the finishing touches on his impressive set up -- two stills, including one still for whisky and gin, and second still with a 15 foot column for vodka. Gordon is hoping to open his doors to the public in September. Looking at where Gordon comes from, including an M.Sc. in Distilling from Hariot-Watt University in Scotland, we're excited to see what kind of magic he will have on offer for us. 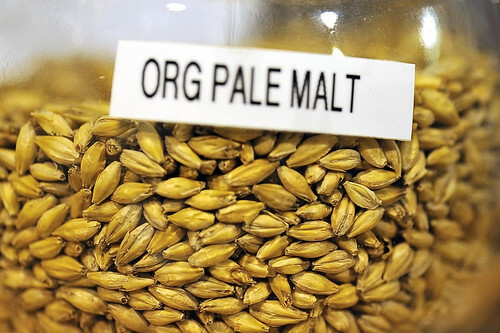 All their spritis will be grain-to-table (ensuring that craft designation! ): un-aged whisky, gin, and vodka, with plans to barrel age some of that whisky, and also bring some seasonal specialties. The distillery is at Commercial and Powell, which is starting to take shape as a little bit of a hub for local alcohol production. For those of us who are familiar with Distillery Row in Portland, this is an exciting idea -- a concentration of microbreweries and distilleries within walking distance of each other could make for some fun Saturday afternoons (or Tuesdays, if you can manage it). What's happening with distilleries in BC? Our wonderful province has seen some significant changes in the distilling space in the last year or so. At BC Distilled we think this is good news - for everyone who cares about drinking locally produced spirits, about seeing the industry grow, about supporting the BC economy (including farmers, distillers, bars, restaurants), and most importantly about creating a market that can start to innovate and produce great products. So what's changed. Why are we so excited? then they can call themselves a craft distillery. In BC, our craft distilleries can sell their spirits on site and save on the big fat BC Liquor retail mark-up. This is the thing that's really important: BC Liquor Distribution Board charges 163% markup on liquor products sold in their retail locations. They used to charge the same markup even if the liquor was sold directly at the distillery. Now they don't for direct sales. Let's put that another way: on a $45 bottle of gin, if you buy it direct from your local craft distillery, thats around an extra $20-25 in your local craft distiller's pocket. It's not a small amount, and it's probably one of the main reasons why distilleries are starting to pop up everyone -- a lot of them in urban areas. These kinds of changes can have a big impact on the amount of fun we as consumers have. In Washington State, where they made similar changes in 2008, they went from a couple of craft distillery to dozens today. Do you think their resident gin and whisky aficionados are having more fun or less now? There are even more changes our government can make to promote this industry, just to level the playing field with our fine local wineries and breweries. But it's a good start. Now let's celebrate with a martini.